This move would ensure no child loses their place. The Government should introduce a new guarantee to ensure no child loses their place on board a school bus if they had been allocated a concessionary seat in either Junior Infants or First Year of secondary school. Each year I am contacted by parents who have found out only days before school is set to return that their child no longer has a seat on their school bus. This causes significant hardship for families as they have to try and arrange alternative transport at short notice. I believe the Government needs to put in place a better system which doesn’t cause this unnecessary hassle for families. If a school bus place is allocated when a child first starts school, even on a concessionary basis, it should be guaranteed for future years. No child or parent should have to go through the ridiculous annual ordeal of waiting to hear whether or not they have retained their place on the school bus. The Government can put an end to this administrative nightmare once and for all by introducing a guarantee ensuring that children cannot lose a school bus place once one has been allocated to them. 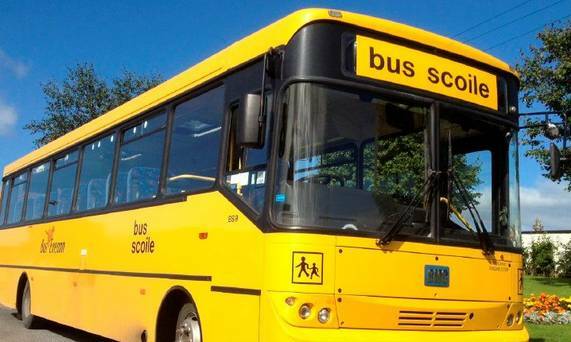 This is a common sense proposal which would reduce the burden on families, while at the same time, alleviating the mountain of bureaucracy that is involved in the allocation of places on school transport each Summer. Many parents make decisions as to what school to send their child based on bus availability. It’s unfair to pull the rug from under families who have made decisions based on the information available to them. School transport use should be encouraged by the Government. It can do this by introducing a guarantee and providing certainty for parents that the school bus will be available for their children as they progress through school.